– 7:03 a.m., (Mason County Sheriff’s Office), gas drive-off, $10.01 in fuel stolen, 5900 block of West US 10 — Ludington EZ Mart, Pere Marquette Township. – 10:35 a.m., (Ludington Police Department), breaking and entering, 300 block of East 5th Street, City of Ludington. – 2:12 p.m., (LPD), fraud, 600 block of East Dowland Street, City of Ludington. – 3:23 p.m., (MCSO), one-vehicle crash, no injury, Scottville Road south of Powers Road, Riverton Township. – 7 p.m., (Michigan State Police), one-vehicle crash, no injuries, Scottville Road and US 31, Custer Township. – 7:28 p.m., (MCSO), a 33-year-old Fountain man was cited for second-offense driving while license suspended (DWLS) following a traffic stop, US 10 and Reek Road, Custer Township. – 9:59 p.m., (MCSO), car/deer crash, no injury, Conrad Road near Victory Corners Road, Amber Township. – 1:58 a.m., (LPD), disturbance, 200 block of 4th Street, City of Ludington. – 2:14 a.m., (MCSO), a 20-year-old Ludington man was arrested for minor in possession (MIP) of alcohol and bond violation and a 20-year-old Ludington woman was also cited for MIP following a traffic stop in which they were passengers. – 4:53 a.m., (MCSO), a 28-year-old Fountain man was cited for no operator’s license following a traffic stop, Jebavy Drive and Angling Road, Hamlin Township. – 11:49 a.m., (LPD), assault, 100 block of East Foster Street, City of Ludington. 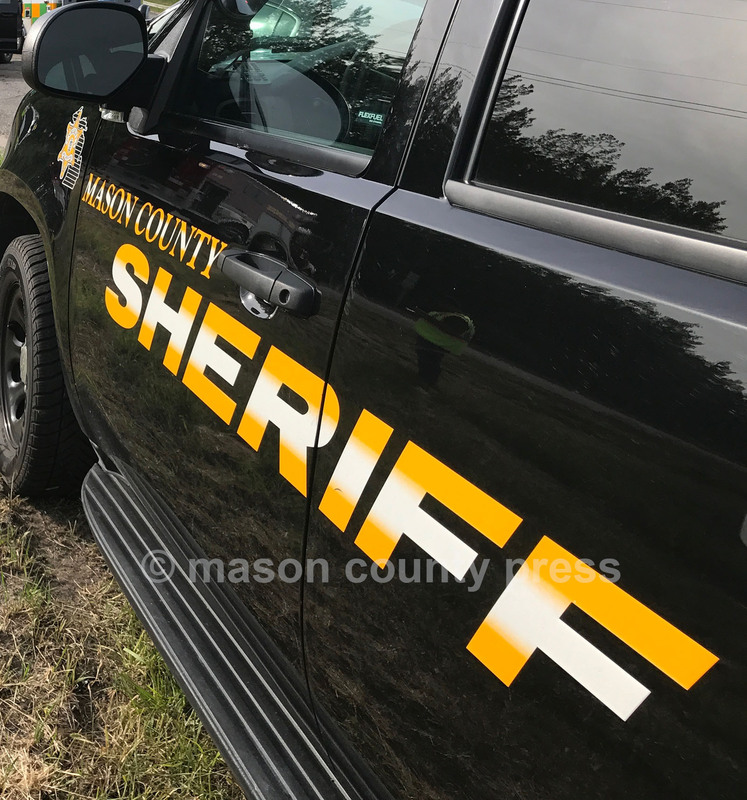 – 4:56 p.m., (MCSO), hit-and-run crash, no injury, 5500 block of West US 10, Pere Marquette Township. – 6:17 p.m., (MCSO), a 28 year-old Fountain woman was arrested for domestic assault following a 911 call, 5900 block of East Fountain Road, Sheridan Township. – 9:05 p.m., (LPD), indecent exposure, 200 block of South James Street, City of Ludington. – 9:59 p.m., (LPD), domestic assault, 400 block of North Gaylord Street, City of Ludington. – 2:22 a.m., (MCSO), an 18-year-old Ludington man was arrested for operating while intoxicated following a traffic stop, Rasmussen Road and Lancer Lane, Pere Marquette Township. – 6:30 a.m., (MCSO), car/deer crash, no injury, Meisenheimer Road east of Deren Road, Summit Township. – 6:25 p.m., (LPD), fraud, City of Ludington. – 7:29 p.m., (MSP), a 28-year-old Ludington man was arrested for DWLS, 500 block of West US 10, Pere Marquette Township. – 10:55 a.m., (MCSO), car/deer crash, no injury, Free Soil Road near Taylor Road Meade Township.